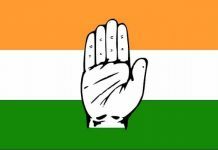 The Unruly incident during the joint session of Telangana legislature is incidental to the growing political slug fest between TRS and the Congress and is also a reflection of intra party rivalry within the congress wherein there is a race for party’s Chief ministerial nominee for 2019 polls. The incidents are also a reflection of the democracy deficit growing in India and the legislatures are a victim of such degeneration in India’s democratic polity. 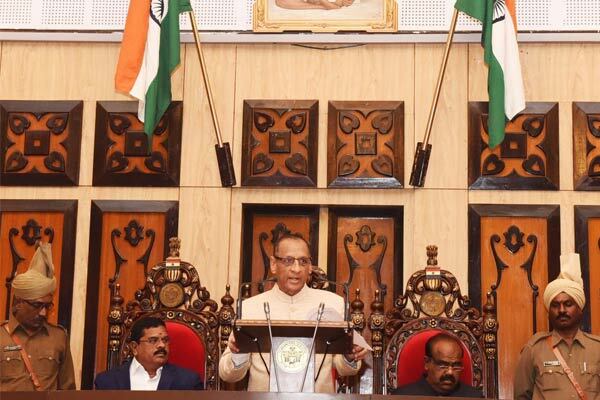 The behaviour of the Congress members during Governor’s address to the joint session of Telangana legislature on the eve of the budget is certainly abhorrent. But, the Congress cannot be singled out for such an abominable behaviour. The ruling party delivers lectures in decent parliamentary practice while the opposition is violent in the houses. This remains the trend and only the players change while the rules of the game remain the same. 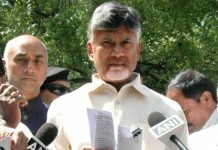 In the united Andhra Pradesh Assembly, the then opposition TRS members demonstrated similar type of unacceptable parliamentary behaviour while the then ruling party gave lectures on Parliamentary democracy. The TRS leaders whose behaviour in the united State assembly was reprehensible are today ministers in the state cabinet too. Of course, these leaders even today defend their behaviour on the ground that it was inevitable for them to do so as the then Congress government at the centre was stubbornly denying the statehood for Telangana. The butchery of democratic practices are justified as the objective for doing so is so sacred as the formation of separate state. Today, the Congress similarly defends its unacceptable behaviour citing the government’s alleged indifference to the problems of peasantry. But, however justifiable the issues being raised may be, parliamentary democracy demands certain level of civilised behaviour in the legislatures. The Parliament and the legislatures are meant for a serious debate on the issues concerning the people. Physical assaults or violent behaviour do not in any way contribute to the redressal of people’s grievances. But, the political system alone cannot be blamed for it. The headline chasing, sensation savvy media covers prominently such acts of indecent behaviour rather than a serious discussion on issues of urgent public importance. The legislators and parliamentarians resort to such acts only to grab headlines in media so that they can reach to their respective constituencies. Virulent individual behaviour and caustic remarks are considered as an index of a politician’s commitment to the issue and the capacity of that politician to raise those issues. This is not to defend the behaviour of the opposition, but, it needs to be underlined that the ruling parties across the nation are increasingly impatient to the protesting voices. Respect for opposition criticism whether or not one agrees with it is simply missing. The opposition feels it as its sacred responsibility to criticise anything and everything government does. Such political slugfest has inevitable reflection on legislative discourse. The ruling TRS is so ruthless in silencing the opposition by encouraging wholesale defections from the Congress and other opposition parties including the TDP and the CPI. Thus the opposition space is shrinking, thanks to the merciless machinations of ruling TRS. Though, the Congress cannot claim to be innocent when it was in power, such acts of political defections are certainly reprehensible in the new state of Telangana which was expected to usher in new political culture given its traditions of struggle and movement. The opposition is feeling restless and the incidents in state legislature reflect this state of opposition. The opposition members also allege that the ruling party hardly gives them an opportunity to put across their view and the ruling party is often unilateral with government representatives getting unlimited opportunity while the opposition voices are choked on some or other pretext. Even the civil society organisations allege that the government is undemocratically scuttling any kind of people’s protests citing law and order problem. In fact, the TRS was catapulted to power only due to innumerable public protests. Dissent is integral to democracy. Several judgements of Supreme Court clearly differentiated between law and order problem and the public order, the ground on which the State can impose reasonable restrictions on people’s right to protest. This simmering discontent in the polity and the civil society is brushed aside on the pretext that the ruling TRS is still enjoying the people’s mandate. But, this cannot be a justification for strangulating protests or opposition voices. 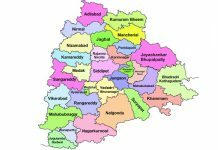 The Telangana government should certainly rethink on its approach for permitting protests in society and dissent in legislature. Such democratic means to ventilate political opposition is vital for democratic engagement. As the elections approach, the political acrimony would further accentuate. Meanwhile, the incidents also reflect the ongoing power struggle in the Telangana Congress. Political observers feel that there is an intense intra party rivalry between number of Chief ministerial aspirants. Komatireddy Venkat Reddy, a Chief ministerial aspirant has unsuccessfully tried to get to the State Congress Chief’s position. There were also reports that the Komati Reddy brothers would defect to BJP or even TRS. 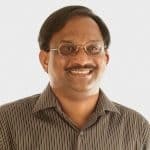 But, nothing of that sort happened and Komatireddy Venkat Reddy seems to have reconciled for time being. But, he cannot suppress his urge to come into limelight . His competitive urge to challenge KCR rule might have also prompted him to resort to such an act. 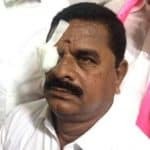 Komatireddy Venkat Reddy is clearly seen flinging the headphone which hit the Telangana Legislative Council chairman Swamy Goud in the eye. 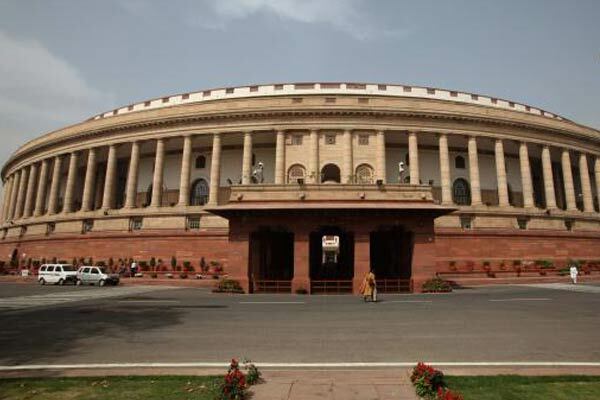 Thus, the legislature may be described as sanctum sanctorum of democracy. But, it would certainly be a reflection of state of polity.